Books written by Cenay Nailor and passed *out in the wild*. If these help you, please consider recommending them to your friends, business partners, next door neighbor or whoever else you think would benefit. Thanks! 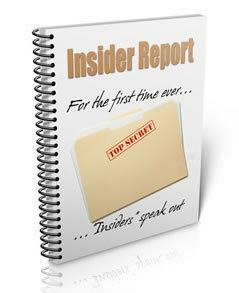 I was recently asked to contribute to a book written by *Insiders * of the Magnetic Sponsoring System. I was honored to be asked, especially when I learned who else was writing their own chapters! It’s heady company, I can tell you! These guys and gals have spilled their guts to tell you what (if anything) they got from the Magnetic Sponsoring system. There is no hype in here and more importantly there is no ‘get rich quick’ promises. How do you get those customers? Well, if you are in a traditional business, you hire sales people to call on potential customers all day long. That sounds like the hard way to me! It’s doesn’t have to be hard to build a business from eager prospects if you focus on only those people who are already looking for you or what you have to offer. 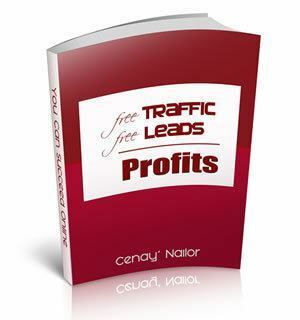 Get Free Traffic + Free Leads = Profit here. Most of us are network marketers, not doctor’s or nutritionists. It’s hard enough explaining our products, without also having to explain the dangers found in over the counter pain relievers or prescription drugs or the many advantages of nutritional supplements. This eBook takes a lot of the “work” out of that customer education process. Read Arthritis Pain Relief Shouldn’t Be Deadly here . When you are working with customers, what “sells” the best? Personal stories that demonstrate the value of the product. A testimonial from a real person that used the product and is now experiencing some benefit that your prospect can relate to. It’s great if that story is yours (and you should have one! ), but if you are just starting out, or don’t have a gripping “story” to share, this eBook comes to the rescue. I have gathered many of the true life testimonials from people that were so impressed with one or more of our products that they had to share it, and put them in book form. I compiled the book as a PDF document (Adobe) that you can print out, send via email or post on your webpage (not the corporate replicated site, but your own). Read Nussentials is Changing Lives ~ Stories From the Heart here. 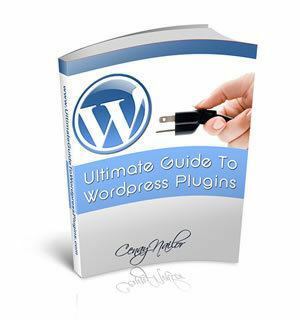 The Ultimate Guide to WordPress Plugins is a must read for WordPress bloggers looking to ease their *management burden*, make blogging more fun and productive, and snag a little *Google Love* in the process. It’s more than 68 pages of plugin advice and 80+ plugins described and detailed in plain English. Each plugin is rated and the *timing* is explained. Links are provided to go get the plugin. Want to know what to do when a plugin breaks your theme? Want to know the best plugin for branding yourself? Or how to bring visitors back to your site? It’s all here. Want traffic? Go get this book!